Cards2Kids is a charitable organization that collects new and used sports cards and donates them to various child-focused charities, organizations, and hospitals. Cards2kids: Trade your new & used sports cards! If you’re passionate about cards and would like to get involved, please contact us and learn how you can help distribute Cards2Kids Packs. Give your time. Get so much more in return. 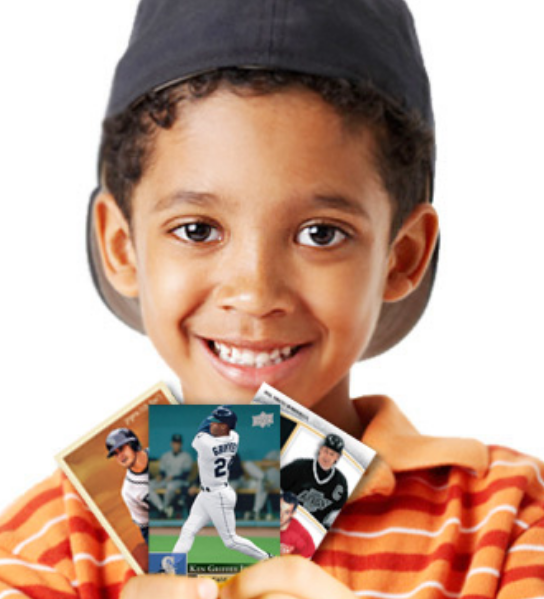 Collect and donate used sports cards in your own community as a Cards2Kids Ambassador. Become a Cards2Kids Official Partner and collect donations in your card, collector or hobby shop. As an Official Partner, we’ll provide everything you need – collection box, flyers and posters, and event materials – to help you get started. Volunteer your time to help sort and package Cards2Kids Packs for donation to our charities. If you would like to get involved with Cards2Kids, contact us today and let us know how you would like to help. 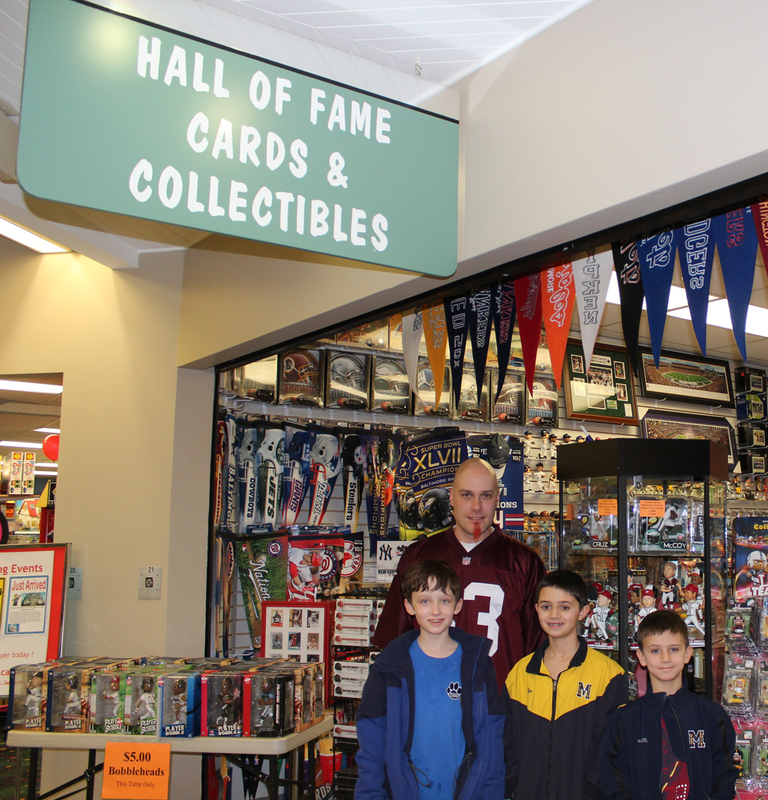 Ryan Lissner has been with Cards2Kids since its inception, when his friend and fellow sports card collector, founder, John Makowiec, first told him about Cards2Kids. Ryan has been a passionate baseball card collector since the early age of 7, when his parents gave him his first pack of baseball cards. He knows what a great feeling it is to rip into a new pack of cards and find one of your favorite players, and he’s excited to share that experience with other kids. As a Cards2Kids Ambassador, Ryan works with Chicago-area businesses to collect sports cards for distribution. He is also enlisting charitable organizations interested in distributing donated sports cards to children within their organizations. Tristan’s passion for collecting baseball cards began in the 3rd grade, when he started playing baseball and became hooked on Backyard Baseball video games. As a boyhood friend of John Makowiec, the founder of Cards2Kids, Tristan became an Ambassador in 2011, helping pack sports cards and distribute donations. Tapping into his own love for sports and collecting sports cards, Tristan hopes to help Cards2Kids grow and bring even more joy and happiness to kids who are sick or haven’t had the chance to collect cards. Michael started collecting sports cards at the age of five with his two older brothers. He met John Makowiec, the founder of Cards2Kids, in 2009 while playing on the same baseball team. 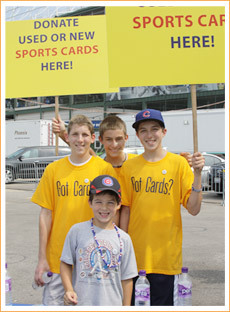 Michael first got involved with Cards2Kids over the summer of 2011 during the Wrigley Field card drive. Now, as an Ambassador, he helps pack sports cards and distribute them to local charities. Michael is excited to help Card2Kids become a world-renowned charity. Ben began collecting cards at age five when he received a binder full of baseball cards from his uncle. By 12 years old, his collection had grown to over 250,000 cards. Now in high school, Ben is excited to be an Ambassador for Cards2Kids, where he can share his enthusiasm for sports cards with underprivileged children in the New Jersey, Pennsylvania and New York areas. Andrew and Ben joined Cards2Kids in 2013 as ambassadors in the Washington, D.C. area. Andrew is 9 years old. He started collecting sports cards when he was 6 and is a huge fan of all the DC and Baltimore teams. Andrew’s favorite sport is basketball. Ben is 12 years old and has collected cards since he was 6. Ben loves hockey — he plays locally and is a huge fan of the Washington Capitals. Andrew and Ben are excited to be part of Cards2Kids and can’t wait to share their love of sports and sports cards with kids in the DC area.